Be prepared for jaw dropping views!! Throw one of the best Thunder parties in town with amazing firework views! Unit 501 is a show stopper. 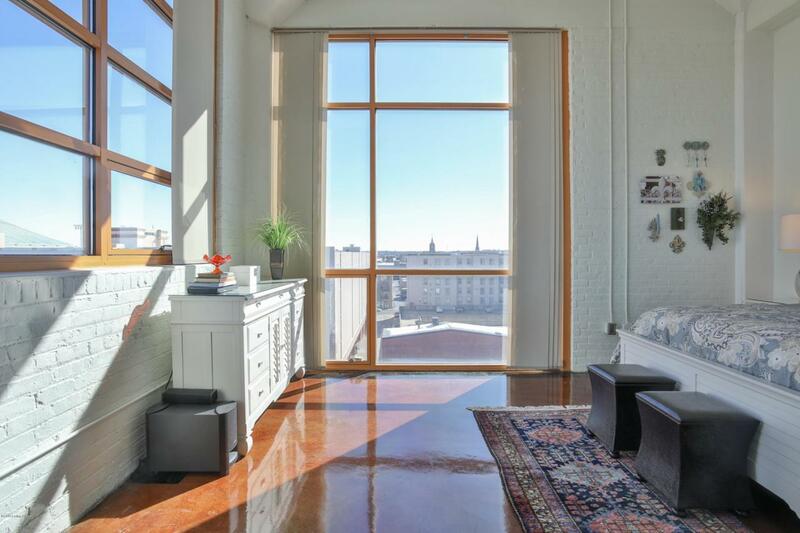 This one bedroom one bath condo is the perfect entertaining space. Granite countertops, stainless steel appliances, beautifully stained concrete floors, and en-suite laundry. This unit comes with one outdoor parking spot that is fully fenced and secured. Common areas include a full gym, library, billiards room, a catering kitchen and a fireside lounge. Exterior common areas includes a secured and landscaped garden area and gas grill. This unit includes one caged storage unit in the basement of the building. Schedule your showing today!